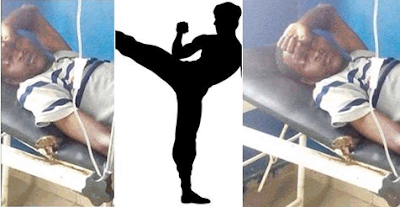 Bedmate Furniture Company, Magboro, Ogun State, has compensated its worker, William Ekanem, who was crippled with Kung fu kicks by his immediate Chinese boss, Master Wan. Punch correspondent learnt on Thursday that the firm paid Ekanem N3m. With the development, the earlier scheduled meeting among representatives of the Federal Ministry of Labour and Employment, the Chinese company and the major actors in the incident was called off. Bedmate Furniture Company, Magboro, Ogun State, has compensated its worker, William Ekanem, who was crippled with Kung fu kicks by his immediate Chinese boss, Master Wan. Punch correspondent learnt on Thursday that the firm paid Ekanem N3m. With the development, the earlier scheduled meeting among representatives of the Federal Ministry of Labour and Employment, the Chinese company and the major actors in the incident was called off.